Directed by Im Kwon Taek. South Korea. 2014. 93 mins. Korean with English subtitles. Based on Kim Hoon's award-winning short story of the same name, Korean master Im Kwon Taek’s 102nd film (can you believe it?) 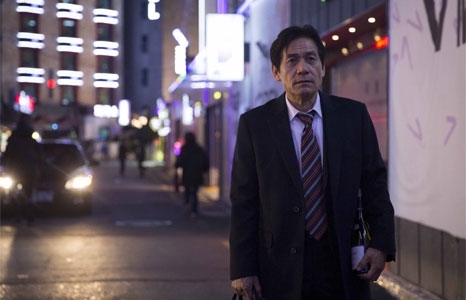 presents the dilemma of successful executive at a cosmetics company, Sang Moo (Ahn Sung Ki, in his seventh collaboration with the director). Sang Moo is a decent man who remains committed to his family's needs as his wife, Jin Kyung (Kim Ho Jung), suffers the agonies of brain cancer. When Eun Joo (Kim Qyu Ri) arrives as a fresh-faced new member of his marketing team, Sang Moo begins to deal with the pangs of forbidden desire. Revered as the father of modern Korean cinema, Im Kwon Taek won his country's first-ever Best Director prize at Cannes for Painted Fire (Chi-hwa-seon), which is also part of the Seoul Cinema program. With Revivre, he retains the honesty and unflinching observation that have made him a master of his the craft, touching on death, illness, sexuality and romance with equal candor. The original Korean title—Hwajang—means both "cosmetics" and "cremation." The double meaning reflects how matters of love and death are intricately entangled in Sang Moo's world, and he can no longer compartmentalize his personal and professional lives as easily as he once did.